Grain And Feed Milling is a key to the production of high quality nutrional feeds as they ensure that the feed formulation is in the correct quantities for all the materials. 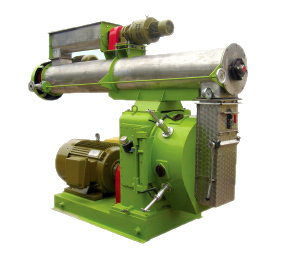 Each bite of a feed milling machinery have the same designed formulation ensuring all the stock are feed as intended. Most feedmilling equipment now have one or more conditioning units mounted above them where liquids such as water and molasses can be added to improve pelletability. The water is sometimes added in the form of steam which softens the feed and partially gelatinises the starch content of the ingredients, resulting in firmer (and for aquafeed more water stable) pellets. Driven by heavy-duty gearbox construction It can work continuously even in most adverse condition. The imported key elements are of high performance with long life and low maintenance cost. The key parts are made of alloy steel that is very strong and malleable. Feed milling equipment die is made of stainless steel. 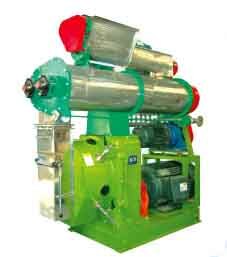 Pellet machine is widely used in the granulation of wood, straw, other biomass sources. capacity ranges from 200kgs to 3T per hour.